Take a look at the pair of images below. What would you say they have in common? 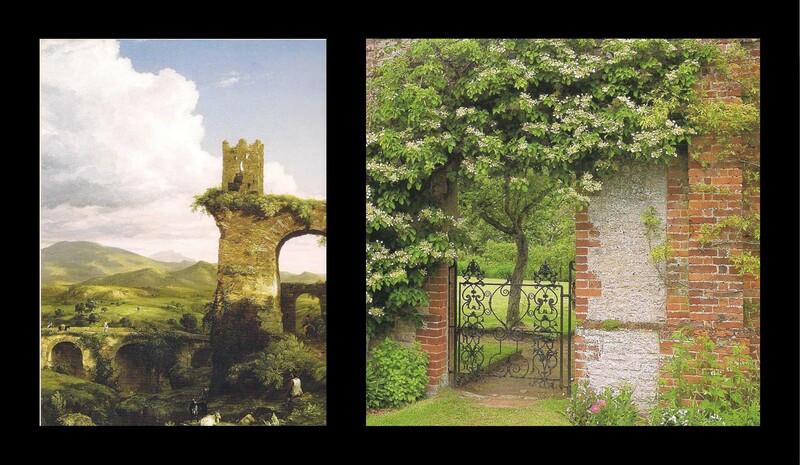 Left: “The Arch of Nero” by Thomas Cole Right: Photo by John Glover. Now, I’m pretty sure the garden vignette on the right was not modelled directly after Thomas Cole’s painting (on the left), but the two certainly do seem to share some genetic material, don’t they? The arches, the vines, the muted colors, the effort to capture antiquity — all are present in both painting and garden. 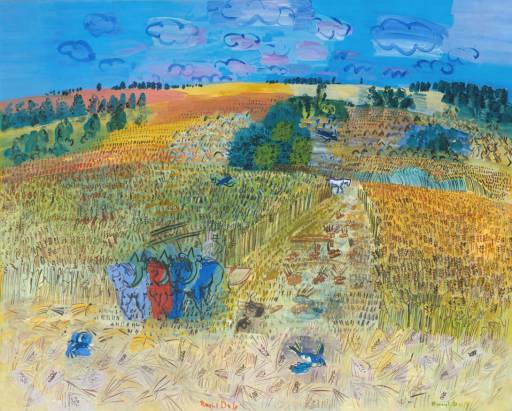 This pair of pictures comes from a fascinating book called Art and the Gardener, by Gordon Hayward. My favorite part of the book is a section in which Hayward presents many pairs of images — a painting and a photo of a garden — that share the same aesthetic. Clearly, Thomas Cole’s painting and the unidentified garden above capture a spirit of Romanticsm in both mood and detail. 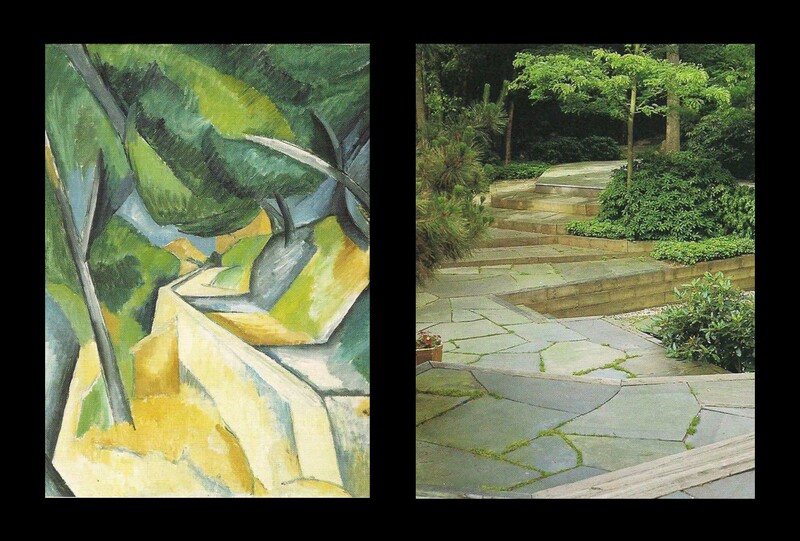 Left: “Road Near L’Estaque” by Georges Braque Right: Garden by James Rose. Plates of color? Check. Forceful diagonals? Check. Freer forms of foliage? Bingo!!! Now if that description doesn’t also perfectly capture the gardens designed by Tom Stuart-Smith, like the one shown above on the right, then I must be blind. Romping back and forth this way between the worlds of art and garden design is a heady experience. I almost start hyperventilating when I think about the possibilities. 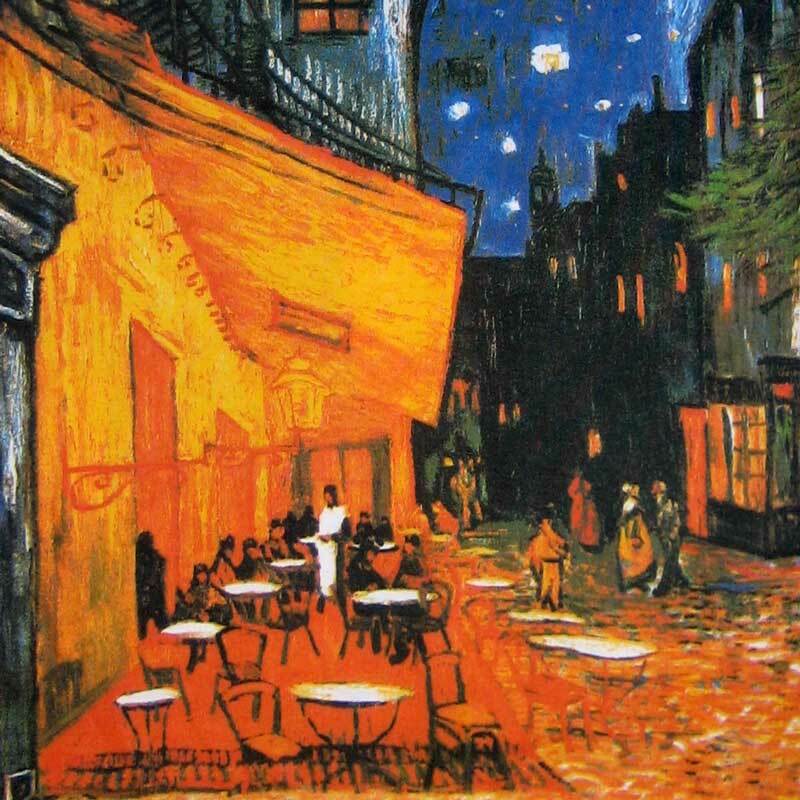 This entry was posted in art and design, books and tagged art and the gardener, garden designers roundtable, Georges Braque, gordon hayward, Henri Rousseau The Dream, James Rose Landscape Architect, pattern and decoration, Raoul Dufy The Wheatfield, the arch of nero thomas cole, Tom Stuart-Smith, van gogh cafe terrace at night by Mary Gray. Bookmark the permalink. That first painting: a bed made up of a mix of hardy geranium varieties in blue, pink, and white, plus coreopsis verticillata in the same colors for later in the season, with prairie dropseed or some other low clumping grass scattered throughout. It’s funny, but I can’t get water lilies out of my head for that first painting. Goes to show how differently art can be interpreted/perceived. On second thought, there is no blue coreopsis, maybe a low blue campanula like carpatica. How awesome would it be if there were blue coreopsis? Hmmm…where does the Gnomescare go? Yes! 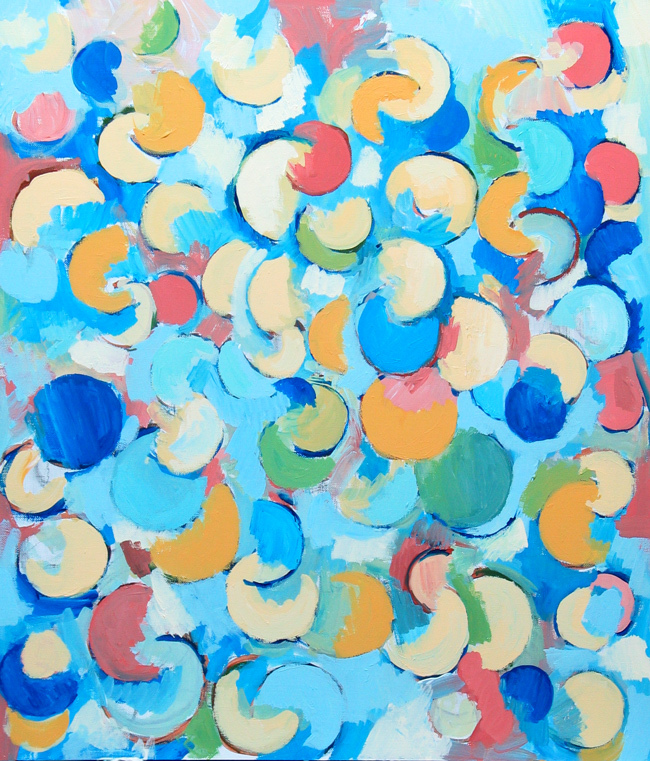 To have a client with a big budget who wants to create the mood/look of a painting — or even better, to do it for oneself on one’s necessarily much more limited budget. Now THAT calls for creativity! Thanks for firing the imagination with your fun comparisons, Mary. Mary, I’m going to search out that book IMMEDIATELY! Art history + gardens — too fun. Hmmmm, I’m thinking your design challenge would be a perfect topic for the GDRT! I am not a garden designer and I have no answers to the questions posed, but now I do have an imagination running wild. Excellent blog…though I give full blame to your post that my work day has just gotten far less productive! All great examples, but how do we use our visual memory and take it beyond extrapolation? Does a Giacometti sculpture become a gnarled and spindly tree in an un-related landscape? Does the engraved decoration on a piece of armor become a pattern for a gate? There are many, many ways to use art as a jumping off point. We are all products of our experiences and memory…it’s how we interpret and use those experiences that makes our creative point of view unique to us. Very thoughtful way to imagine what a garden can be. 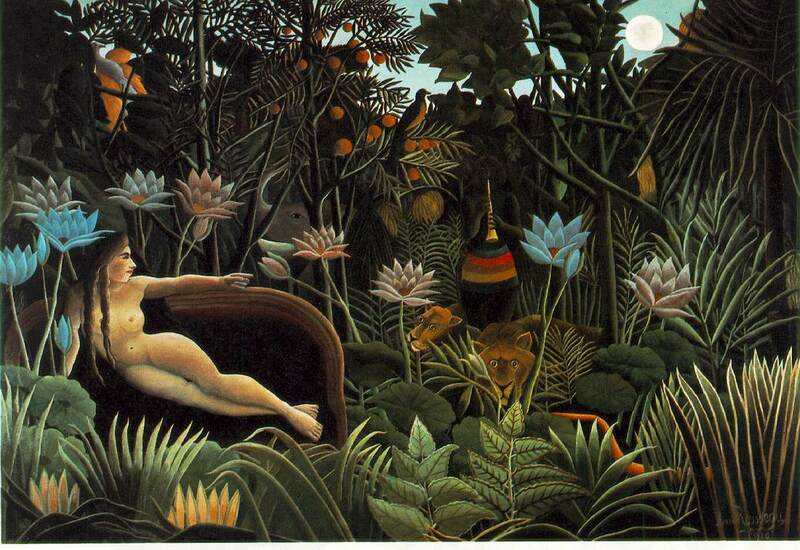 I’d take Rousseau’s The Dream as my garden inspiration: voluptuous, lush and dangerous. I enjoyed this post very much. I prefer the broken path the best.Must be a beautiful book but the last thing I ned is another book. Best, P.
I’d just like to add, for the sake of completeness, that the Swiss surrealist H.R. Giger is also a gardener. Yes, the Oscar-winning designer for Alien. No pictures exist anywhere on the Web, but a retrospective of his work published about ten years ago showed photos of his railroad garden on his property. Yes, it’s just as horrifying as you can imagine, and I want to design one of my own just like it. Ha ha! Thank you…I knew my post felt incomplete somehow!